This week’s motormouthings cover an emission statement, slimming down, sales figuring, hotter hatches, broken bootlids, Malaysian minis, electricity charges and considerably more to ignite your indignation. A further query about the EA189 emissions update (service action 23R6). I took my Skoda Superb with the 2.0TDi CR 170 engine into my local Skoda main dealership yesterday afternoon to have a problem with the bonnet release fixed (which it was). When I booked the car in at service reception the girl said that their records showed that I hadn't had the 23R6 emissions update installed; I told her very clearly and explicitly that I did NOT want to have the update done and she wrote 'Declined' on the service action sheet. When I was presented with the invoice for the repair to the bonnet release I noticed that the 'Other Work Carried Out' section showed 'Emissions update 23R6'. I queried this with the service reception girl and she assured me that the update hadn't been done. However, when I drove the car away from the dealership I immediately noticed that it drove very differently from how it had done earlier that day; it felt very sluggish and lacking mid-range torque. I wasn't able to return to the dealership to challenge them, but will do so as soon as I can. If my very strong suspicion that the dealer has implemented the 23R6 update in direct contravention to my clear and unambiguous instructions is confirmed, what options do you think I might have to get them to remedy the damage they have inflicted on my car? I have a 2008 VW Touran diesel Bluemotion, with tinted windows, 7 seats, and towbar. Bought new. I have been really pleased with the car but feel I would like to now downsize a bit and occasionally allow my 23 year old daughter and 20 year old son to drive a newer, smaller car on our holidays. It would still need to be big enough for the university drop-off and family holidays for the 3 of us. A towbar is no longer necessary, but I would still like a bike rack. Most of the time it is just me (and the shopping). But in university holidays we will have to share the car. I like the higher seating position, the comfort, tinted windows, feel of being secure and the power of the Touran. Is there a car you would recommend to downsize to. Should I switch from diesel to petrol. I do a mixture of short local journeys and family journeys of a 300 mile round trip once a month or so. I was planning to spend about £10k-£12k plus part exchange my car. I would like a second hand car with some warranty still left on it. Do you have any suggestions on a make or model that I could test drive? Diesel doesn't make sense for your needs long-term. Maybe something like a Peugeot 2008 1.2 Puretech 130 would. Or a Mazda CX-3. Or a SEAT Ateca 1.0. Bit different down there, though. Massively bigger country. No sudden vehicle taxation change that led to hundreds of thousands of vehicles being pre-registered in March. And Australia hasn't voted to leave the WHO Western Pacific Trade Region because it doesn't like Rumanians picking its vegetables. Which hot hatch would you recommend? The new Civic Type R, the new 308 GTI or a Focus ST? Which represents the best value? Don't want a Golf. At £30,995 (and £32,995) the Civic Type R is as expensive as the £32,265 Focus RS, never mind the Focus ST (from £25,235). For that kind of money you could also be looking at a BMW 140i (from £33,150) or 240i (from £36,415). The Focus ST had some diff issues to start with but is otherwise a solid bet. The Peugeot 308 GTI steers and handles brilliantly (from £28,489), but only has a 1.6 motor and that motor has been trouble in the past in cars like the R56 MINI Cooper S. If prepared to consider VAG, there's the Leon Cupra 300 that's the best looking of the bunch, from £30,155. This morning I went to close the boot of my Honda Jazz, using the integral handle as I have 100s of times over the last 3 years. I ended up with the handle in my hand and a gash in my forehead where it had been hit by the lip of the boot lid. Fellow Jazz drivers be warned. I had been thinking of contacting you to suggest what I should look at when I come to replace the car this autumn. It is my third Jazz (2003, 2009 and 2013) and I have been pleased with all of them. In fact it was only a large deer landing on the bonnet on a dark night that caused me to replace the 2009. My only gripe has been poor acceleration from slow speeds. What else should I consider that has as good build quality, reliability and interior space? I do about 13,500 miles a year, mainly local journeys, but motorway trips every couple of weeks. Should I stick with petrol or are there more eco-friendly alternatives? I can't imagine how your accident happened (we have a similar shape Jazz in Thailand). You're right about the lack of performance (our Thai car is much quicker with a 120PS 1.5 engine and 5-speed torque converter auto, but it uses a lot more fuel). Better to wait for Honda to drop its new 120PS 1.0 litre 3-cylinder engine into the Jazz. Or go for the bigger new Civic with that engine. Many years ago you suggested I buy a Perodua Myvi ELI 1.3 auto, which my 5’ 2” wife has enjoyed for many years since we bought it new in 2006. I am extremely grateful to you for that recommendation. It now has 56k miles on it and it has never missed a beat, outside of having to replace the battery, a set or two of tyres and some fiddling with the electric window switches. I feel guilty even thinking of parting with it, but permit parking on my street and insurance is going up and it’s got me wondering. There’s an added consideration: I am a bit of an old Citroen nut (I own a 1963 DS, which I maintain myself) and I bought a 2007 C6 Lignage 2.7 turbo diesel a couple of years ago. It now has 70k miles on the clock. With its hydraulic suspension, it is a powerful and comfortable car with reasonable fuel economy and I really like it, but I’m getting a bit tired of the expensive repairs. I thought of part-exchanging it for a smaller car and then selling my wife’s car too, so we can both share the use of a car. My wife and I are retired and we live in London with a 22 year old, who is anxious to get behind the wheel. My wife does short journeys, and I regularly drive my car two or three times a week on excursions related to some interests that I have. I’m rather drawn to a Hyundai i20 or Mazda 2, and tend to buy for cash. Insurance cost is also a consideration. I wonder what you recommend? The Mazda 2 is a lovely car. Far better in my view than the Audi A1 and Polo. It comes as a 5-speed manual or 6-speed torque converter auto. You could also consider a Suzuki Baleno or Suzuki Swift 1.0T Boosterjet that can be had with an excellent 6-speed torque converter auto. I don't think your C6 is a suitable part-exchange. Your best market for that is likely to be members of the Citroen club. The Myvi will be a tricky thing to sell or to p/x because hardly anyone has ever heard of it. I'd try a photo card in the window of a local newsagent so people can at least see what it looks like. State “same as Daihatsu Sirion.” Emphasis the Yaris 1.3 engine and 4-speed torque converter auto. Ask £1,475. You'll probably have to settle for about £1,000. The PCP on my Nissan Leaf EV is due to expire in October. The GFV is £12.8k, but Nissan Finance has offered me to refinance this for over 24/36 months, 0% APR and based upon a CAP value of £9,725. I do like the car and it suits my needs. My local dealer has offered to “upgrade” me to the next model up at a “list price” of £21k, financed via a new PCP over 24 months at a monthly cost of £208. They would take my existing car (which is in negative equality) and Nissan will “write off” the finance outstanding. The only issue is that I would need a £2.5k deposit. I have looked at the Hyundai Ioniq which I quite liked in EV form, but there appears to be quite a high demand for this, and the monthly payments is in the region of £350 (48 month PCP) with £2k deposit. I was considering the PHEV variant, but I feel that the new car tax scales penalise low emission vehicles and I begrudge having to pay £140 per year after year 1. Thus this leaves me with another EV (or return to petrol). I do have EV charging facilities at work (so free fuel), and my daily commute is 25 miles total. Average 150-200 miles / week with the occasional long distance journey (I can cope with the public charging infrastructure). The other alternative is to consider leasing instead of a PCP which would negate the dilemma of what to do at the end of a PCP and car depreciation. So, suggestions please on how to maximise my investment - stick with my current 30kwh LEAF, upgrade to a new PCP, switch models or lease. On the surface, the first deal looks the best to me. Nissan Finance swallows its £3,000 loss and offers you 0% finance over 24 or 36 months, at the end of which you own the car. Better than handing it back then forking out a £2,500 deposit on a new PCP. Many thanks. Have noted in carbycar. 8-7-2017: Announcement on Reuters that Volkswagen (VAG) is recalling 766,000 VW Golf Mk VIIs, Audi A3s, Skoda Octavias and SEAT Leons worldwide for a software update to their braking control systems. The braking control system may not function properly in certain driving conditions, such as when the driver over-steers, under-steers or slams on the brakes. VAG is recalling 288,000 VW Golf Mk VIIs, Audi A3s, Skoda Octavias and SEAT Leons in Germany over the issue. The German recall impacts about 385,000 cars, the spokesman said. The recall in Germany was first reported by news agency DPA. I don't think this is a different issue. You only have software in an autonomous braking system so I would surmise that this is a fix for the autonomous braking radar making false readings. Another reader has the same issue fifteen times in an Audi A3 and I was able to alert him to the recall. I run a Titanium X 2.0 diesel with which I am very pleased, but at 86 years old I have learned to be very suspicious of governments of all colours and am rather worried about the possible attacks on diesel. I only drive about 5,000 miles a year now, but in my 40s and 50s was driving 40,000 – 50,000. Most of my trips are less than 5 miles, but every week I have a run of at least 20 or 30 miles each way, which seems to satisfy the particulate filter; I’ve had no trouble in the last three years. The car has now done 45,000 miles. What should I be looking out for to show signs of age? I am considering forestalling the possible government attack on diesels by replacing it. I think a hybrid would be nice, but do they come with the trimmings I like: particularly the speed limiter, auto wipers and lights and all the other bits that came with this car? I can put up to about £12,000 with the car as a guide. Any advice you can give would be useful. Incidentally, although 86 I am fit and well; I still run, and lecture on computer use and most people have difficulty in believing my age; I am usually assumed to be late 60s early 70s. A Titanium is a Ford trim grade, so with a 2.0 diesel engine could apply to a Mondeo or a Kuga or various other Ford models. But your dilemma is the same. I'd go for a Toyota Auris HSD T-Spirit. That forestalls any prohibitions on diesels, but these cannot get too serious anyway because diesels are the only way carmakers can comply with the EC's insistence of ever lower CO2 for the next 20 years. Electric cars for everyone is an impractical pipedream. Hybrids are the best compromise but 10,000,000 diesels cannot be replaced with electric cars and hybrids overnight. My wife is thinking of purchasing a Mercedes Benz R171 SLK. Could you advise on which one is best years 2007 to 2010 engine size and fuel economy. Here it is, with links to two road tests: /carbycar/mercedes-benz/slk-r171-2004/ I think it needs to be at least an SLK280. Be very careful of wheel and tyre choice. 16-inch or 17-inch wheels are best. Low profile tyres set off the airbag system on speed humps. My car, a 2014 Toyota Verso 1.6 diesel, 40,000 miles, still under warranty, developed a fault on 11th May. It seemed to be going well, but the engine maintenance light came on. The AA escorted me to the local Toyota dealer whose first action was to reset the sensor, which did not change anything. Eventually a faulty high pressure fuel pump was diagnosed. There were long delays in obtaining the pump and the necessary tools, but finally I got the car back on June 24th, a new pump and filter having been fitted, but the engine maintenance light came on again on my way home. This time a faulty sensor was thought to be the cause, and I could drive the car until the new sensor arrived. On 25th June the car lost power, would not accelerate and stalled if the revs were not kept high. Back to the garage again. Now I am told it is because of dirt in the diesel and the car needs two new injectors that are stuck open. I am told that this may not be all that is required as the dirt may have gone further in the system. This does not make sense to me as it is only when I got the car back on 24th June that there were obvious problems. I did fill the car up that day, at a filling station I have often used before. I have lost confidence in the Toyota dealer and would be grateful for any advice you could give. I feel I do not know enough even to ask the right questions. The work and parts now required are now not under warranty as this is not a mechanical failure. If the problem was always caused by contaminated diesel fuel (which has long been a problem in Ireland and Northern Ireland), then the dealer cannot be held to blame. Contaminants in the fuel could have cause the initial failure of the high pressure pump that was replaced under warranty. But it's a little difficult to work out how the contaminants got past the new pump and fuel filter into the injectors, unless they damaged the pump and the problems with the injectors were caused by swarf from the pump. In August 2016, my daughter purchased a 2008 MINI One petrol from a MINI dealer. The car is covered by the usual ‘Approved MINI’ warranty. When purchased, the car had covered 32,100 miles. In March 2017, after a further 6,000 miles, the car broke down and required a litre of oil before it would run. Last month, after another 4,000 miles, and following investigation by a MINI dealer, the car was judged to require a further two litres of oil. Three litres of oil over 10,000 miles seems excessive to me and I am wondering if my daughter has a case to be made to MINI under the warranty, and if so, how do we proceed? The oil consumption seems to be getting worse. First, 1 litre in 6,000 miles, and now 2 litres in 4,000 miles. (Sorry, but begs the question: doesn't she ever check her oil?) Obviously regular oil checks need to be made so it would be a good idea for you to show her how to do this. But the car is 9 years old and BMW/MINI cannot be held legally liable for any faults in a car more than 6 years old unless they are subject to a vehicle safety recall. You might have a case against the dealer, but unless the consumption rises to a litre in 1,000 miles I don't think a Small Claims judge would find in your favour. As I am useless at negotiating with sales people, I want to take advantage of discount car websites to get a lower price for a new car. We need to test drive the model we want at the local official dealer: After that I plan to show the salesman the car discounter's printed offer to get him to reduce his price. If I don't get a good deal I plan to order the car from the discounter (which is a reputable, well known company). After the new car is ordered from the discounter and delivered to the local dealer, if we need to ask the dealer to fix problems under warranty, is it likely the dealer would make life awkward for us by making excuses such as: "Sorry, our service department is very busy just now, can you bring it back after a week or so?" Sorry, I disapprove of this. What you are proposing to do is cheat the dealer out of the value of your test-drive of his car by making him fund the test-drive then buying the car from someone else. In my view that amounts to stealing, even if it's something that almost everyone does. Usually, if you buy a car via a broker, it will come from a dealer miles away from where you live. You will have no problem getting it serviced at your local dealer, but warranty claims will be a different matter. If the dealer did not sell the car to you, he will have no kitty to pay for any warranty work, so may only do it if and when he can get funding from the manufacturer. Just to update the info you have on F11 series BMW on your website, I too have had a rear air suspension failure at 76k miles. This and two failures of the aircon condenser have really shaken my faith in the BMW brand. Sad, as my previous 3-Series Touring gave 174k miles of fault-free service over 8 years and was still working 2 years later when I last heard of it. Except for the powerful but frugal 2.0d engine and delightful 8-speed auto-gearbox my F11 has been disappointing for ride quality, handling, inane satnav, and driver aids that perform at a level less than perfectly. I will shortly retire and will be driving much less, so suspect I will be best served by a petrol/electric hybrid. I will need a car that can accommodate 4 large/tall adults plus one child with associated luggage. As I get older and my back reminds me of this a high entry and driving position seem sensible. Initial desktop research has steered me towards an Audi Q5 or a Porsche Macan/Cayenne. I did think of a BMW X5 4.0E but is this another unreliable model? Anything else I should consider? Sorry, having a test drive at one dealer then buying the car for a lesser price elsewhere isnt 'stealing.' Whilst Id have no problem doing face to face negotiations to get a bigger discount, if we were miles apart on prices, Id vote with my feet (and wallet)! No idea why your readers are still being cautious about Diesels, they may as well just scrap their cars and get out their bicycles or learn to ride a horse. According to this EMPA report, some new Petrols emit higher levels of harmful particulates than older diesels do, making them the worst offenders in the entire equation. Petrol engines also emit higher levels of CO2, as well as a nasty substance called benzo(a)pyrene, and those wonderful petrol cars that everyone is now rushing to buy have already raised benzo(a)pyrene levels to 1700 times the safe level in some areas. Encouraging people to buy petrols is probably only going to serve to raise it even higher, whilst not really solving the issue of the threat that breathing in particulates has, since Petrols produce them too, and in even higher ratios than modern diesels. But wait!, Where is the outcry? why are the motoring press still recommending petrols over diesels, when they are actually worse on so many levels?. You can find several other worldwide sources confirming the same facts as in the above report, and not just EMPA, and some of them date back to 2013. No doubt the powers that be are just waiting for the naive hanging on to their every word, to switch from Diesel to Petrol, at which point, (when the numbers are significant enough), somebody will "find" the EMPA report and the dangers of Petrol emissions will suddenly be "discovered". I suspect a whole, exciting new witch hunt will begin along with Taxes and Congestion charges, and bans of Petrol cars to be introduced in areas of hgh levels of benzo(a)pyrene and so Ex-Diesel car owners of today will no doubt find themselves in exactly the same position as they are now as the circle continues. I believe that the Particulate issue is well founded already since there is talk of fitting particulate filters to all new petrol cars shortly, so the Petrol owners of tomorrow will probably have the same unreliability issues as the Diesel car owners began having back in 2008, as more and more unreliable emissions control rubbish gets bolted to their engines. Thanks for that, Chris, but I don't think we'll be hearing too much about it anytime soon! 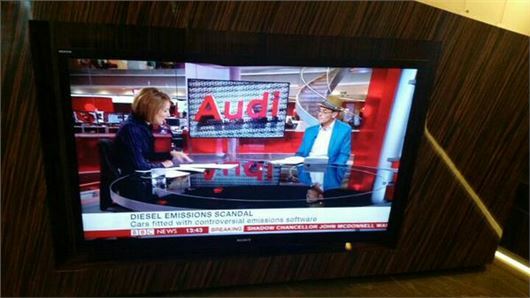 The anti-Diesel lobby has built up a head of steam and won't accept anything to the contrary! I have to admit, even staunch Diesel owners like ourselves (since about 1985) have been panicked into changing them for a couple of petrol-electric hybrids. We are constantly told that using Diesels for short journeys is bad for their complicated emission control equipment, but I was always taught that the enriched mixture in cold petrol engines washed away the lubricant from the cylinders and caused bore wear, so they aren't good for short journeys either!